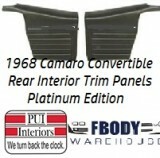 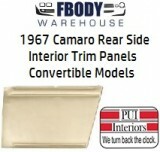 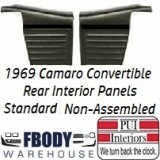 This is a NEW Kick Panel Vacuum Actuator Cover for 1967-1969 Camaro or Firebirds. 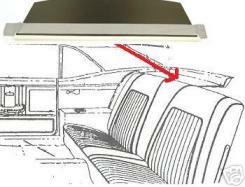 Exact reproduction of the special steel clips used to retain rear headliner mounting strips in OEM thickness stamped steel. 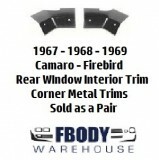 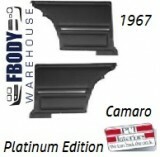 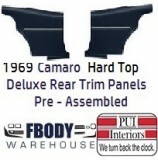 These are for use on the first generation Camaro and Firebird Trans Am hard top models. Coated black. 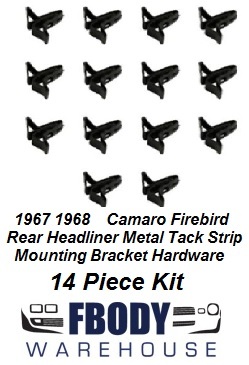 Replace your rusted or worn out clips today. Sold in a 14 piece set. 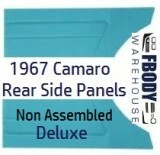 These units are a step above the standard issue replacement door panels for use on high end show quality cars Produced to true GM specs! 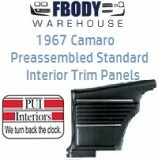 These units are a step above the standard issue replacement rear interior trim panels for use on high end show quality cars Produced to true GM specs! 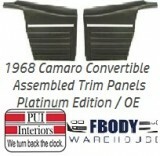 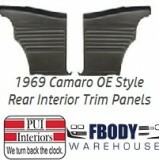 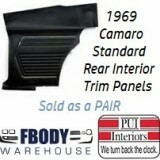 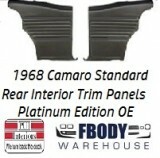 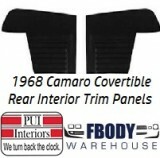 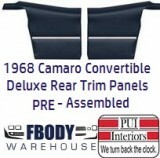 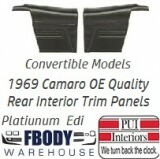 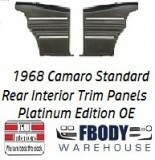 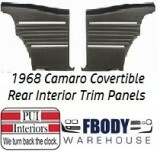 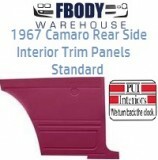 This is a pair of new replacement standard rear interior trim panels for use on 1969 Camaro with standard interior and Convertible body.. 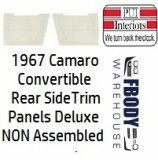 Produced by PUI these are excellent quality replacement units. 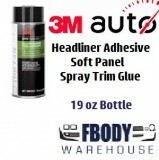 Replacing the soft products on your car is the fastest and best way to improve the quality AND value of your 69 Camaro! This is a pair of new (non assembled) replacement deluxe rear interior trim panels for use on 1967 Camaro with deluxe interior and Vonviertible models only. 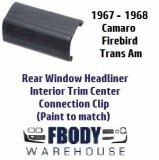 This small trim piece connects the rear window trim and clips them together. 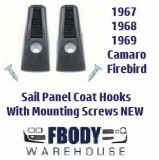 Unit sold in black and is paint to match..